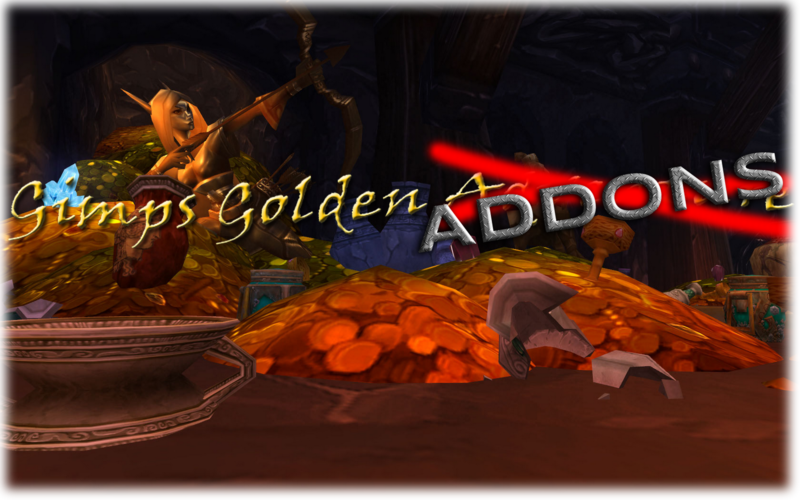 Hey Guys and Girls gonna hit the ground running with a nice Video series all about Addons! In this First Video gonna take a very brief and basic look at some of the Addons I use, and give a quick run on how to use Vendor scan! All the Videos for this Addon series will also be available on my Addon Page which you can get a little more info about in my "A Week In Gold, Video of the week #1" post. Shadow Unit Frames - A great simple Unit Frames, allows for a high amoutn fo customization without begin overly complex if you don't want it to be. 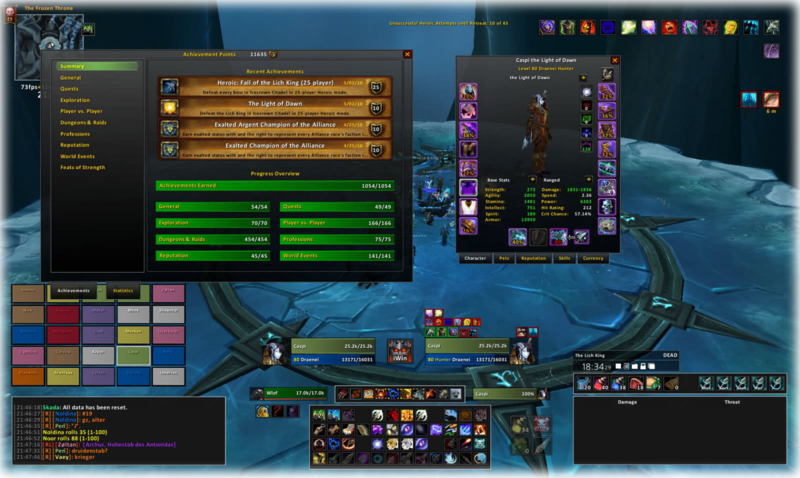 Before Blizzard used added their own Raid frames I used this Addon for raid frames also, so if you do not like the new Blizz frames then it is also great for using as a raid frame. Skinner - Skinner allows you to "Skin" any frame in game with your own texture or gradient. 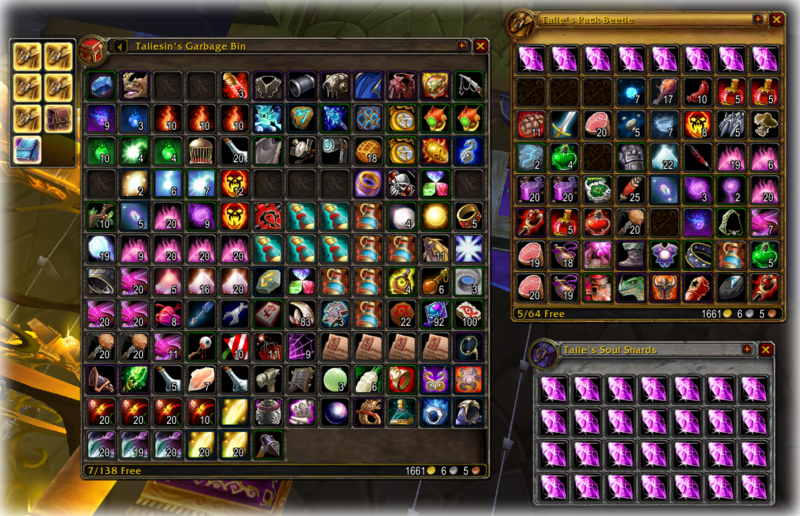 I personally use the defaults for this Addon but i have seen some amazing things done with this. So if your looking for a way to change the look of the frames in game give this Addon a try. Baud Bag - Looking for a bag Addon without all the bells and whistles, Baud bag allows you to pull all your bags into a single frame, Search your bags, and open your bank for "Viewing-only" anywhere you go. Again another simple but useful Addon. 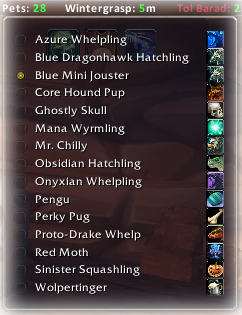 Minimap Button Frame (MBF) - This Addon is a Must have for Tidy Freaks, When I run my full PVE Raiding Addon (on the rare time I actually raid) i have a very cluttered Minimap with all the Addon buttons, and this Addon takes all these buttons and places them in one handy little frame. Simple and effective! Glance - A great Addon that pretty much does what it says on the tin, it allows you to view a great amount of information "At a Glance". thats pretty much all that needs saying about glance, no need for massive amounts of setup you download and plug it in simple. 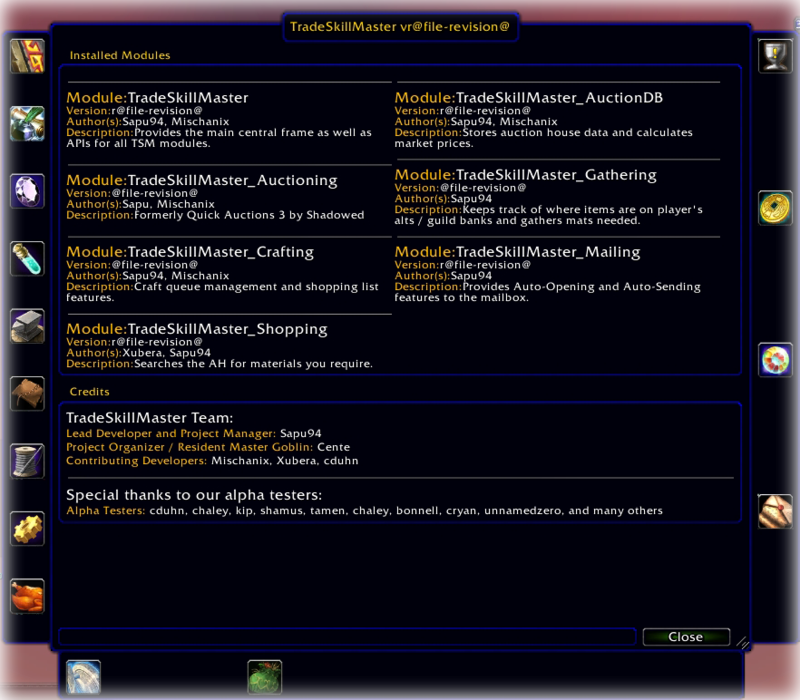 Trade Skill Master (TSM) - As a few people call this Addon a "Bussiness-In-A-Box", not gonna talk about this in any detail at all right now as this deserves (and needs) a post or two all to its self. Auctioneer- The old and trusted work horse of auctioneers, again I look a little into this addon during the video but I want to cover it on its own in a later post/video so won't go into great depth about it for now. 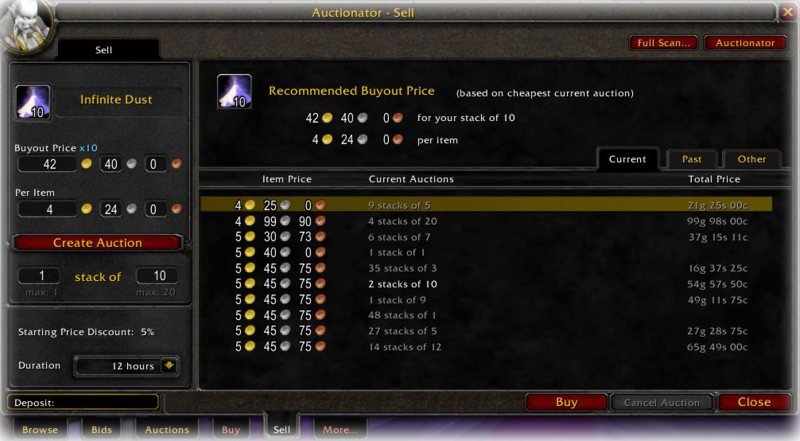 I will say that one of Auctioneers greatest strengths though is its Tooltips which give great pricing details when the AH is scanned regularly. 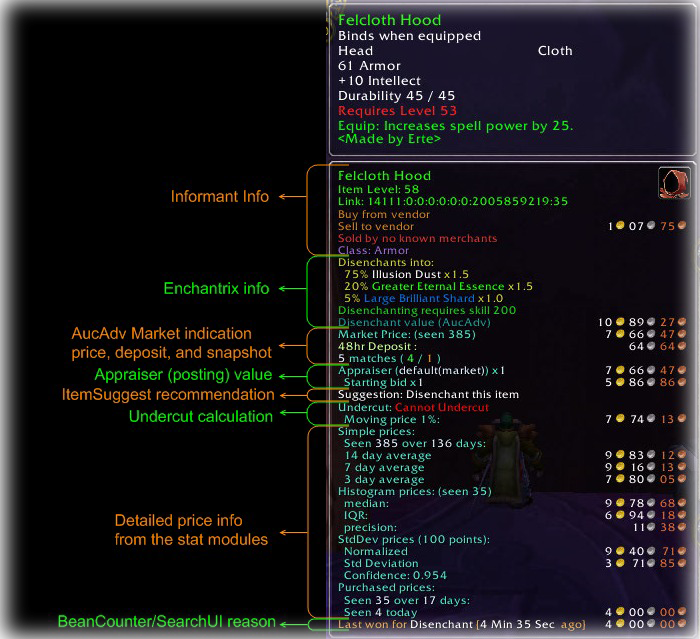 Auctionator - This Addon is the Power supply to anyone using the AH to buy items! Its shopping list and simplistic showing of prices when buying make it the optimum tool to use when buying from the AH. Couple in its buying power with its "check for undercuts" feature and you have what might be my favorite gold making addon after TSM. Postal - Again a simple Addon (I do like my simple easy to use Addons), this beast rips through mails at a really good speed and allows you to hit the "Open All" button and go grab a drink, make a sandwich or even read some blogs, with the peace of mind that on your return to the game all your mail will be open. As well as auto open it will also record all gold taken from sold auctions and give you a total upon closing the mailbox. 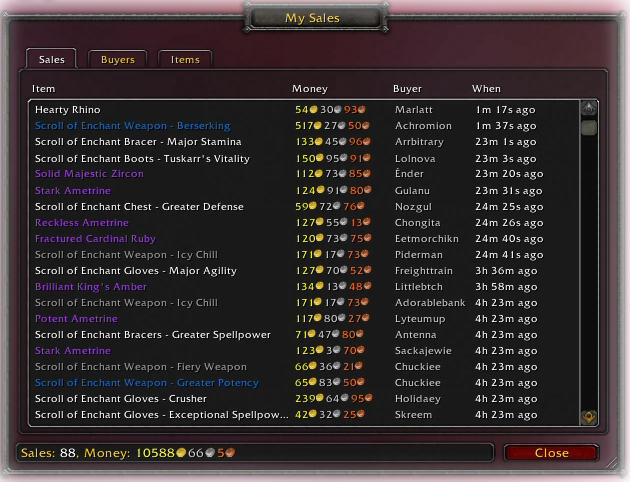 My Sales - Now if you have the memory of a gold fish, or just wanna keep track of any potential customers to sell directly too, this addon is for you! 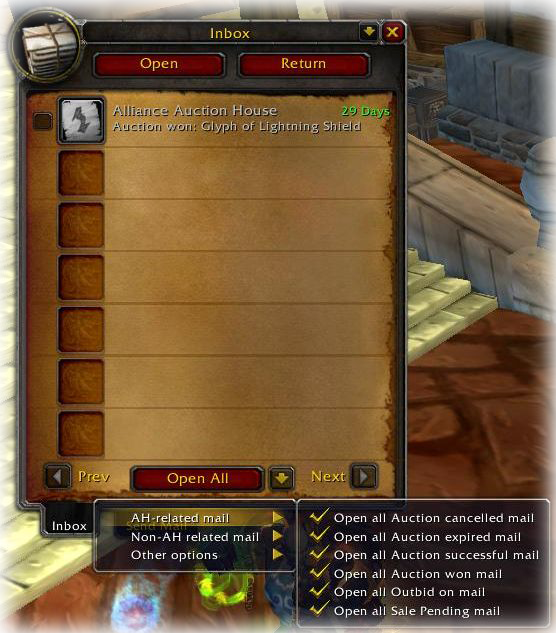 It records all your AH sales whenever you open a successful auction mail and keeps a tail of all items sold, how much for and who bought them. Allowing viewing and analysis of this data at any time.